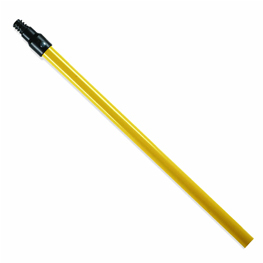 Fiber Glass Handle w/ACME treaded tip. 15/16" x 54" long. Great for "no metal" environments. These long lasting poles fit the flat Plastic Grid Flat Mop Frames on this website . Also fits most handle sockets with acme threads. 2 poles to an order.